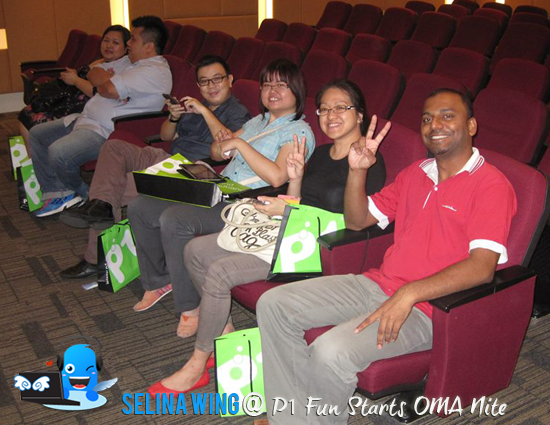 Packet One Networks (Malaysia) Sdn Bhd (P1) was celebrating 5th anniversary to launching the 5th Anniversary unlimited quota promotion for two of its award-winning wireless home broadband plans! They bring the new theme: “Keep Playing. With No limits”, let the users can enjoy to play and surf internet, download more drama TVs, and playing the multi-player games so very fun, joyful, interesting and fulfilling...unlimited! So, you do not have to worry about data limit when you are online everyday! 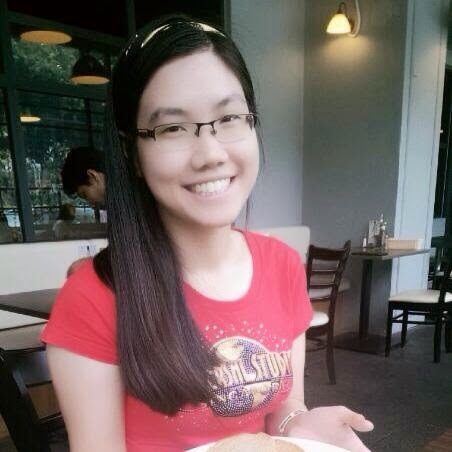 I am sure that you experienced about your P1 reach the limit, so it make you pay extra again! Right? Today, we like to thank you for P1 to make sure the customers to be happy to use the unlimited broadband plans with cheaper price - ForHome Plan RM 99 only - it's BEST choice! Wahh, the usage of quota is UNLIMITED! 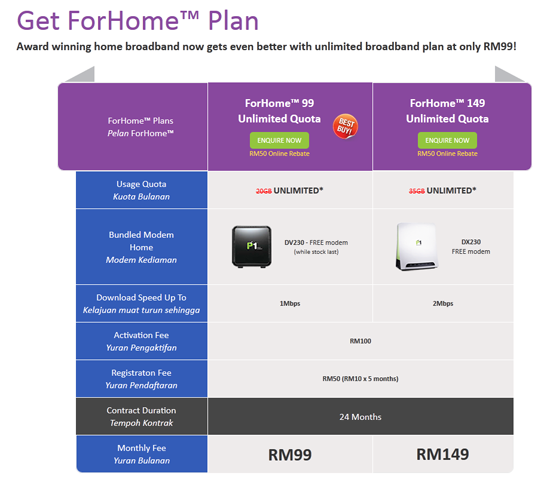 The "ForHome™ 99 and 149" offers a speed up to 1Mbps and 2Mbps with unlimited quota for RM99 and RM149 - 24 months contract with FREE modem DV230, for a limited time only. *Tips: How to get the rebate? Try to visit their website and apply online to get RM50 Rebate! Oh ya! Wait! There are another plan to attract you because you maybe need to bring it to anywhere so easily! 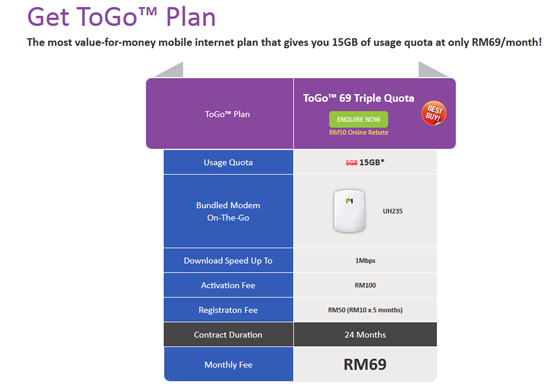 Check out on their bestselling of broadband plan, ToGo™ 69 during this promotion period. 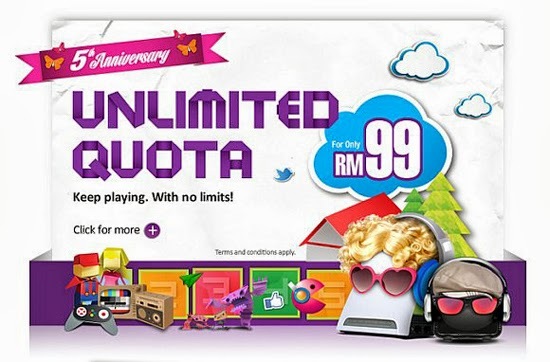 You will enjoy 15GB of data for only RM69 with 24 months contract with FREE modem UH235! Please visit the ToGo Plan - P1 website! For more information on P1’s 5th Anniversary theme: "Keep playing without limits", please visit p1.com.my. What are you waiting for? Get the limited promotion from them today! Any question you have for P1 Buddy? Please go to drop your comment at P1 Buddy on Facebook! All award-winning ForHomeTM plans come with free plug-and-play WiFi-enabled modems. And that means instantaneous connectivity and broadband sharing, without the hassle of wiring and installation. ForHomeTM is also a portable broadband solution which enables users to use it at any location where there is coverage. If I interested in P1 unlimited broadband, I sure will choose The "ForHome™ 99 because I am gamer, and blogger! 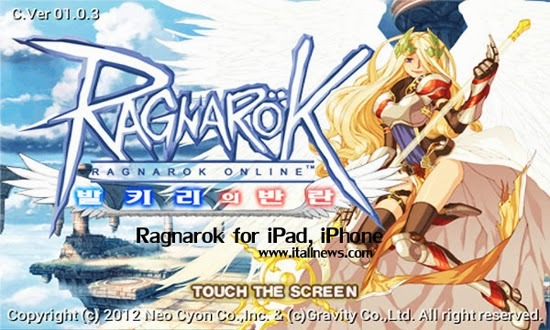 I love to play the Ragnarok Valkyire if I have iPad Mini or used my laptop! 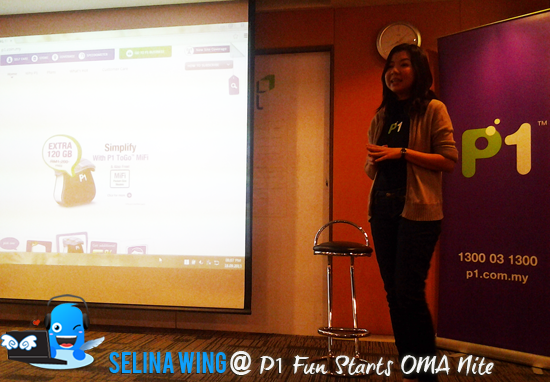 For more information on P1’s 5th Anniversary - Keep playing without limits promotion, please visit p1.com.my/hotdeals. 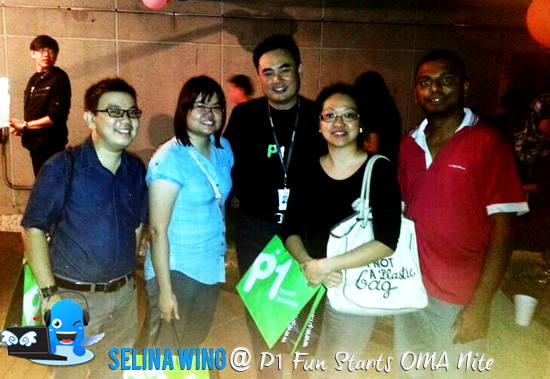 Do you curious about what are we doing with P1's media, OMANite (Online Media Associates Nite)? 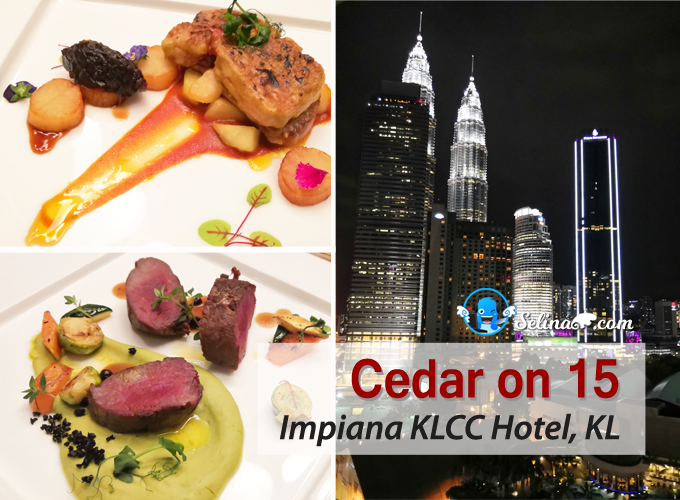 It is for the Bloggers' Gathering on last Wednesday, 18th Sept 2013. 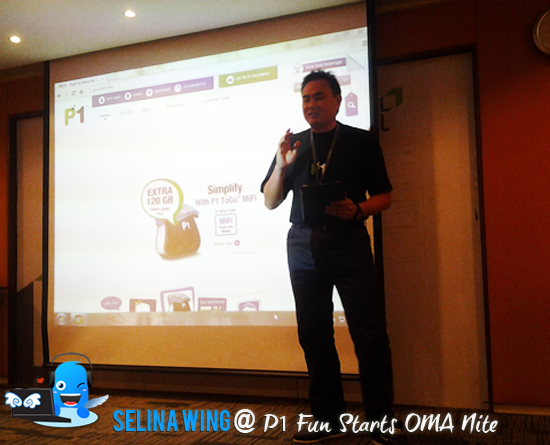 During the launch of 5th Anniversary's Keep Playing with No Limits - unlimited broadband plans, Kelvin Lee, Chief Commercial Officer (CCO) giving his welcoming speech. James helped to interpret for me, and my friends because my youngest sister cannot come to interpret for us as she was having her class at late evening. 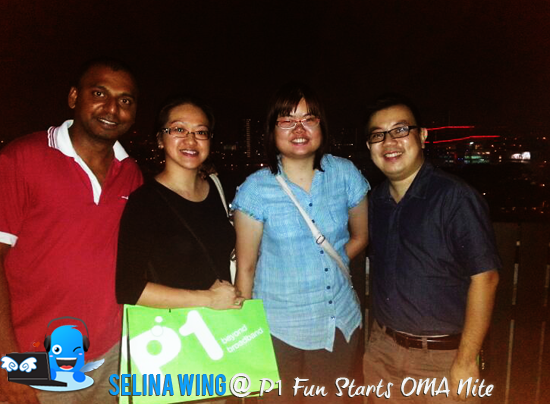 We got the free goodies bag..but, first time we went to the rooftop - "Sky Garden"! We really never eat dinner at top of Sky Garden! 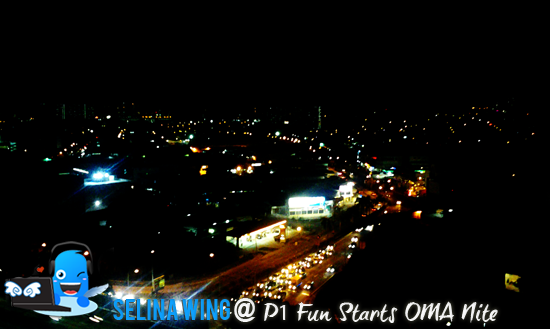 We get chance to view a very beautiful night with colorful of lights and balloons from P1 Packet Hub building! 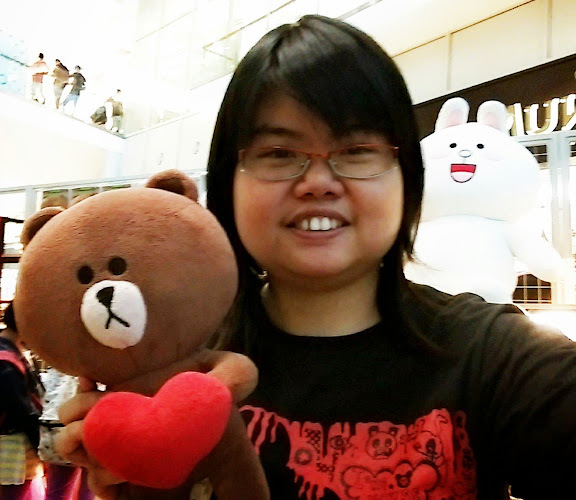 My friends are very happy when I won my lucky number; 4 from the lucky draw - X Mini Sound. 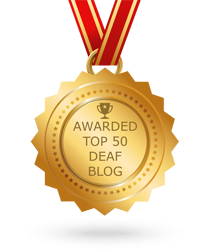 Haha, I never use it so I gave it for my business friend, James because he love to hear the sound!